Adam S. Ziffer has significant experience in insurance coverage litigation—representing small and large policyholders in actions nationwide for damages and declaratory relief—and in counseling clients on insurance-related issues. Adam has litigated and currently is litigating many of the most significant and cutting-edge insurance coverage cases throughout the country, including privacy liability, employee dishonesty, first-party, errors and omissions, directors and officers, product liability, asbestos, environmental, and employment coverage matters. 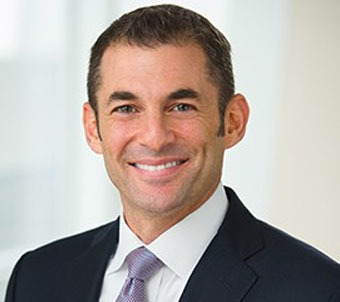 Adam also has a diverse general litigation background, which includes litigation involving general commercial and contractual disputes, securities fraud claims, and labor and employment issues. Adam has represented clients as lead counsel in state and federal courts throughout the country, including in New York, New Jersey, Illinois, California, Delaware, Ohio, Massachusetts, Nebraska, and Iowa. Adam is recognized as a national insurance litigation star by Benchmark Litigation, and was named an "Insurance MVP" by Law360 in 2017 as a result of his success in a series of high-profile insurance coverage victories. He has also been named a "Rising Star" by Law360 and recognized in The Legal 500’s guide to outstanding lawyers for Insurance: Advice to Policyholders. Representation of Teachers Insurance and Annuity Association of America (“TIAA”), College Retirement Equities Fund (“CREF”), and other related entities (collectively, “TIAA-CREF”) in an insurance coverage lawsuit filed in Delaware Superior Court in May 2014 against certain of TIAA-CREF’s primary and excess professional liability insurers seeking reimbursement of more than $60 million for the costs of defending and settling three class action lawsuits alleging claims relating to delays in processing account holders’ transfer requests in certain investment accounts. Obtained a landmark decision from President Judge Jan Jurden granting summary judgment to TIAA-CREF on October 20, 2016 (which was further reaffirmed on November 16, 2016, when the court denied the insurers certification of an interlocutory appeal), finding that a civil settlement of a lawsuit involving claims for disgorgement was an insurable loss under New York law. The decision was affirmed by the Delaware Supreme Court on July 30, 2018. Represented Philips Electronics North America Corp. subsidiary TH Agriculture & Nutrition in its insurance coverage action in Cook County, Illinois against more than 20 insurance companies relating to asbestos liabilities. Adam successfully has defeated numerous summary judgment motions by the insurers, and to date has achieved settlements totaling in the nine figures. Won an appeal on behalf of subsidiaries of Hilco Trading LLC when an Illinois appeals court granted Hilco summary judgment, ruling that Liberty Surplus Insurance Corp. had a duty under professional liability policies to defend Hilco’s respective subsidiaries against claims that they inflated appraisals. Secured summary judgment for Convergys Corp in a coverage dispute in which the District Court for the Southern District of Ohio ordered the policyholder's umbrella insurance company to immediately pay the policyholder's costs of defending two privacy class actions. Represented Gotham Organization subsidiary, DC USA in its breach of contract and bad faith claim against its insurer relating to environmental liability arising out of an urban redevelopment project in Washington, D.C. Following successful motion practice, Adam was able to obtain a favorable multimillion-dollar settlement for DC USA. Represented of a subsidiary of Fortune 10 company that suffered an approximately $500 million loss arising out of a fire. Represented Performance Food Group in its insurance coverage action concerning multimillion-dollar environmental liability arising out of a construction project in New Jersey. Successful enforcement of an insurance company’s duty to defend the director of a mental health provider in connection with numerous underlying civil and criminal proceedings. Successful prosecution of ADA claim through jury trial and appeal, resulting in compensatory and punitive damage awards.